As technology improves and advances, video depositions are becoming increasingly popular. They are being recognized as a valuable resource for both attorneys and juries before, during, and after a trial. You know the saying that a picture is worth a thousand words? With the right witness, a video deposition can say ten times that. A well-prepared witness in a video deposition can capture a jury’s attention and add credibility to your case in ways that a transcript alone could not. Video depositions allow you to capture every moment—a serious strategic advantage when deposing your opposition’s witnesses. Knowing how to capture momentary slips in confidence or character can not only help your own case, but can also assist you in knowing how to coach your own witnesses for their depositions. In some cases, depositions can be difficult and expensive to conduct due to the need for travel. This is where remote video depositions come into play. Thanks to technological advances, remote video depositions have become an easy and cheap alternative to in-person deponent-to-lawyer depositions. Instead of wasting time and money bringing deponents to you or you going to them, setting up a remote video deposition with realtime streaming can not only minimize expenditures but also provide a compelling piece of evidence. To get the best possible results for video depositions, whether they are remote or in person, extensive preparation must be done by the attorney, the witness, and the videographer. Determine your goal for the deposition at the outset. Do you expect to play the video at trial? Then you will want to review the rules of evidence that apply to depositions in your jurisdiction. If you plan to use the deposition in order to jumpstart the settlement process, you may have additional freedom in making your plans. Know what you want in the final product. Will you need subtitles? Chapter headings? Translation from or to another language displayed on the screen along with the testimony? An interpreter? It’s important to figure out your requirements in advance and discuss them with your deposition videography company so the right equipment and personnel will be on hand for deposition day—and the right editing technology will be available afterward to create the video presentation you need to win this case. Get the right location. Sure, it’s conventional to gather everyone around a big table; just make sure the room you rent has plenty of floor space to accommodate all the video equipment and to allow the videographer freedom to move about to focus on the current speaker. Consider the use of exhibits very carefully. How a witness interacts with specific physical objects can become part of a compelling deposition video and can be crucial in getting your point across to the jury, so you don’t want to blunder during the recording session. Tiny objects or even paper documents may need to be enlarged so the camera can capture details. You may need to advise your videographer in advance of potential glare off shiny surfaces, such as metallic items or laminated documents. If you are going to have a remote video deposition, it may be helpful to discuss your exhibits with your court reporting firm and videographer prior to the deposition so everyone is prepared and the documents are not too much of a challenge or slow down your pace and rhythm. For more on this, read Video Deposition Obstacles to Overcome. Turn off cell phones and any other unnecessary technology. Avoid placing papers near or against microphones. Check with the videographer for proper microphone placement. Instruct essential parties to remain silent during questioning. Limit “talk-overs” by taking turns speaking. As with any testimony, video deposition witness prep is essential to controlling—as much as possible—how a testimony will play out. The preparation period lets the witness get comfortable with how you will question him; at the same time, you’re also giving him reassurance and allowing him to steel himself for what he has in store from the opposing counsel. 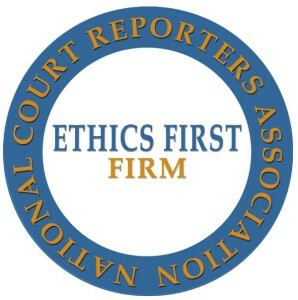 In essence, it is a time for both you and your witness to reach a mutual understanding on how to compose yourselves and deliver honest testimony in the most compelling way for the court and jury. 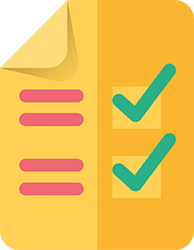 Give concise, specific, and truthful answers. Stay alert for double negatives from an opposing counsel trying to confuse you. Preparation to Secure a Successful Witness Deposition. 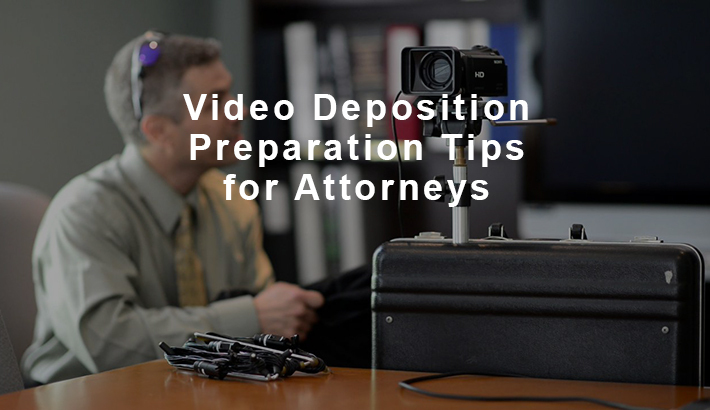 Make sure you and your witness are well-prepared for your video depositions. It could make or break your case. Remember to let your court reporting firm and legal videographer know any information that may help them ensure a better outcome of your video. for years, there is something in this guide for you. If you haven’t yet, get your guide.